Min Zhang found a welcoming environment at NREL. 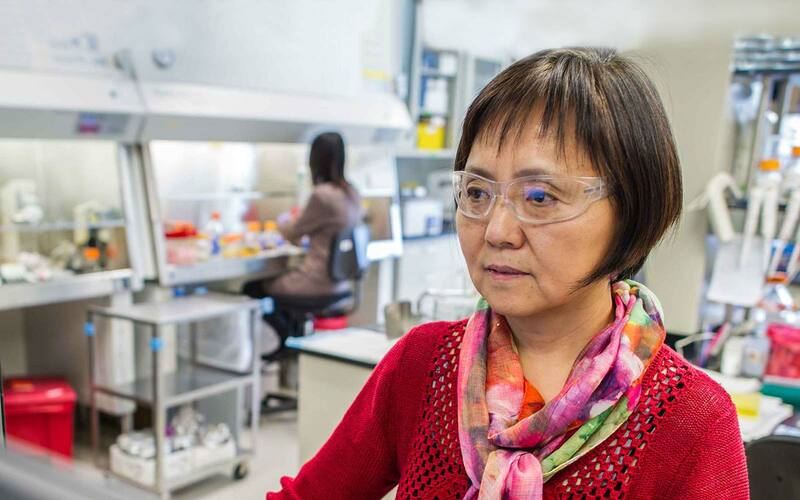 Although much of her time originally was spent doing foundational work with Zymomonas mobilis, Zhang hasn’t stopped there, and has pushed the frontiers of biofuel research further. While observing a range of outcomes for various biofuels pretreatment processes, she focused on the problems of toxicity in breaking down cellulosic biomass for about four years beginning in 2008. She contributed in other ways to NREL’s impact and reach. She has had opportunities to participate in the Energy Department’s international program relating with China. As a lab representative on the Department’s international bioenergy team, she has traveled to her homeland several times as part of a bilateral partnership in the Advanced Biofuels Forum.